The latest iteration of Honda's annual holiday sales event will run through the first week of January. LOS ANGELES -- With tongue planted firmly in cheek, American Honda has turned to much-mocked power ballad crooner Michael Bolton to pitch its year-end sales campaign. Bolton will star in six TV spots, belting out original holiday-themed songs for the automaker's annual Happy Honda Days sales event. The campaign also includes a social media element in which Bolton, in a spot that launched Monday, solicits viewers to send holiday greetings to loved ones via social media platforms such as Twitter, Facebook and the short-form video-sharing application Vine, linked with the hashtag #xoxoBolton. This isn't the first time Honda has tried to extend the reach of a sales-focused TV campaign with social media. Last summer, Honda responded with short videos using Vine to Tweets from consumers carrying the #wantnewcar hashtag, which Honda solicited as part of its summer sales event. Honda says it received 10,000 tweets carrying the hashtag, and the campaign earned Honda about 100 million impressions on Twitter. This latest iteration of Honda's annual holiday sales event will run through the first week of January. On Friday, Nov. 22, Bolton will incorporate some of those messages into online music videos shot on a set made up to look like a life-sized holiday card. 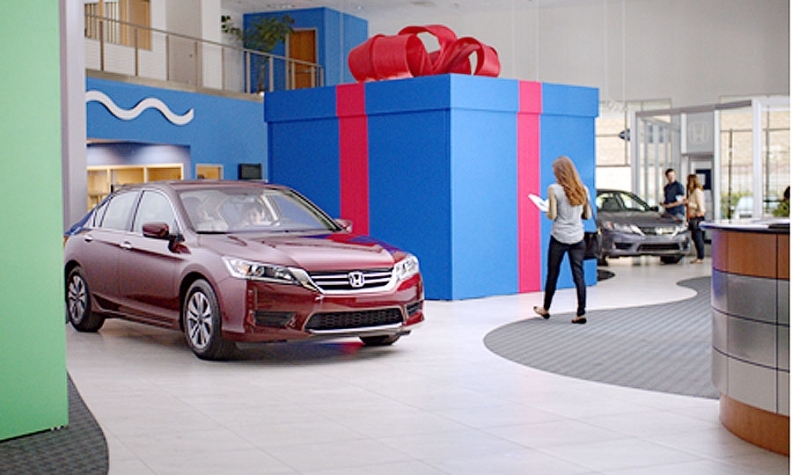 "Michael Bolton's universal appeal and charisma will catapult our holiday campaign beyond the usual automotive sales-event advertising," Susie Rossick, senior manager for Honda and Acura regional marketing, said in a statement.